5% Off For All Applications Until 15.02.2018. Nihon-buyo is the artistic Japanese dance. On a stage or in a Japanese room, one or some dancers worn Kimono dance.The dance originally came from Kabuki, and the movement and music resemble it.There are many schools of Nihon-buyo in Japan, and main 5 schools are Hanayagi, Fujima, Wakayagi, Nishikawa and Bando.”Nihon-buyo” exactly means “Japanese dance” in English, but we use this word in the sense of this artistic dance. This is the only mountain railway in Japan. The train departs from Hakone-Yumoto station (at 108 m above sea level) and takes about 40 minutes to arrive at the final stop, Gora station (at 553 m above sea level). Halfway up the line there are switchbacks, where the driver and the conductor change shifts and the train switch to reverse travel direction. It is a special experience that can be enjoyed only with the Hakone Tozan Train. Hirano Shrine was established in the year 794 when the capital was transferred to Heian-kyo (the ancient name for Kyoto) from Nagaoka-kyo. The shrine has long enjoyed a relationship with Japan’s Imperial Household and royal family. 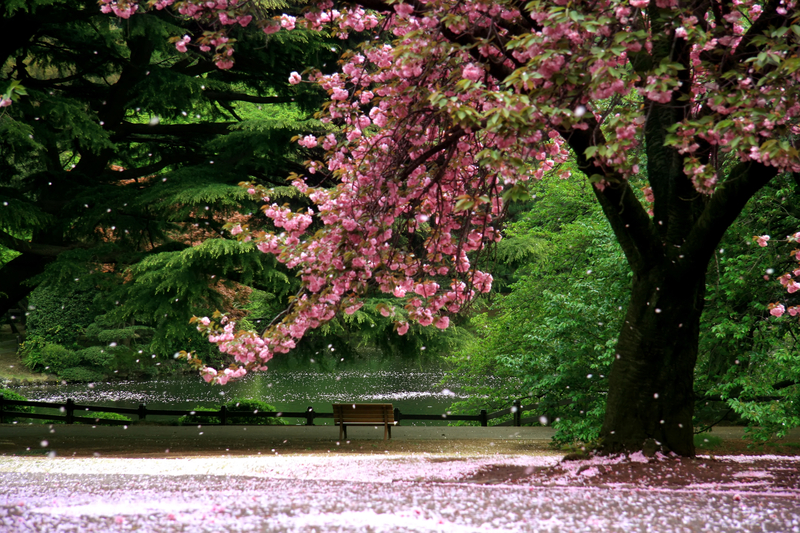 The shrine however is more famous today for its lovely cherry trees. 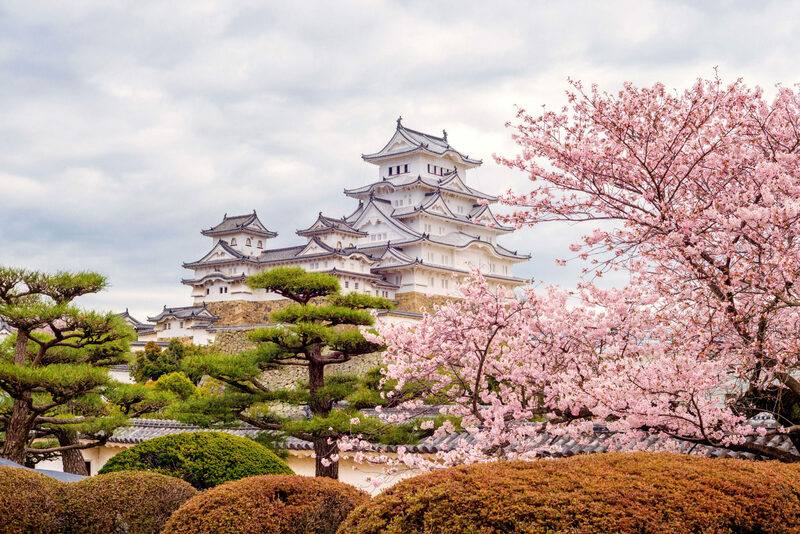 Hirano has held a cherry blossom festival every year since 985. The first of these festivals was held during the reign of Emperor Kazan. Arrive in Japan – The Land of Rising Sun. Upon arrival at Narita/Haneda Airport, receive the warm welcome. Transfer to the hotel by seat in coach basis. At 15:00, check into the hotel. The whole day is free for leisure. Have your dinner and stay overnight at a hotel in Tokyo. Enjoy your breakfast at your hotel. 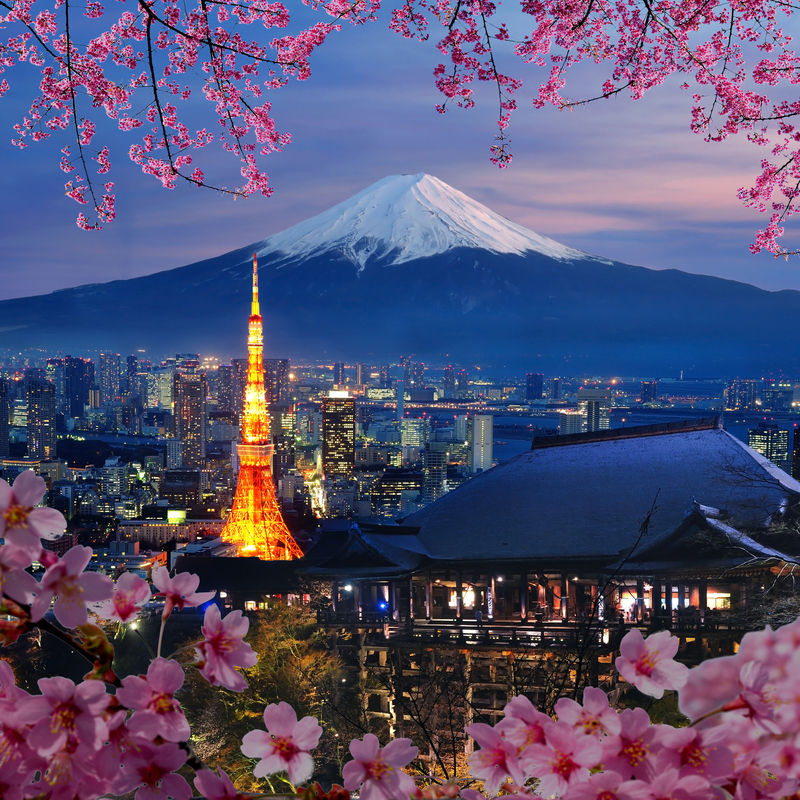 After breakfast, proceed for the Tokyo Cherry Blossom Tour. At 08:20, depart from the check-in counter on the 3rd floor of Keio Plaza Hotel, Tokyo's Main Tower in Shinjuku. Please arrive 10 minutes before the departure time. 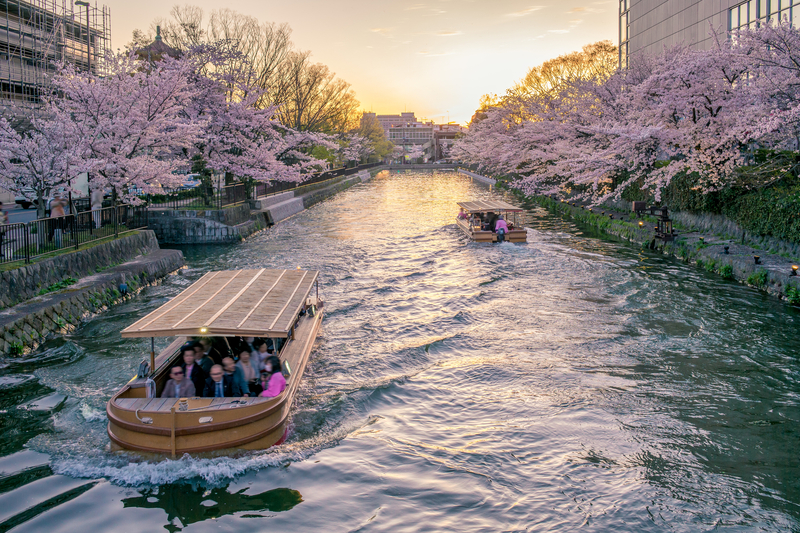 Head to Showa Kinen Chidorigafuchi/Kitanomaru Park or Shinjuku Gyoen afterward and enjoy your evening with the Sumida River Nighttime Cherry Blossom Cruise. 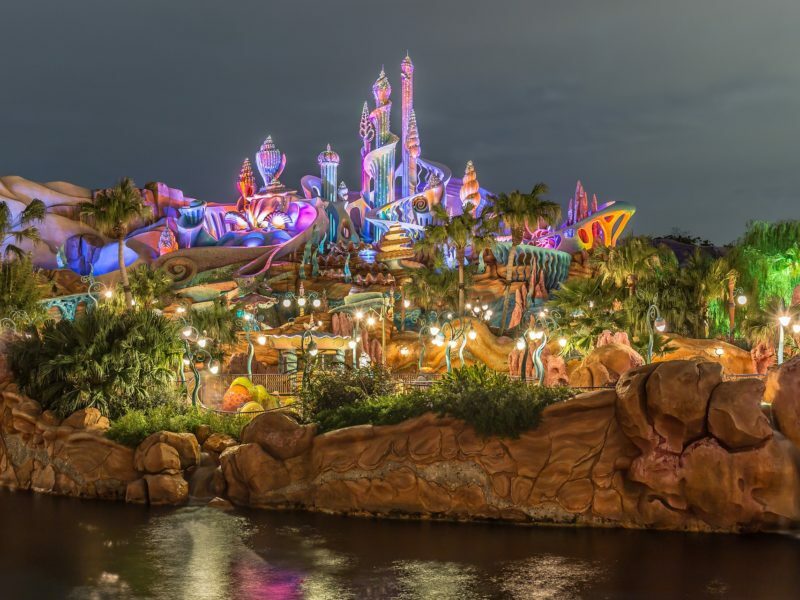 After the cruise, the tour will disband. Please transfer to your hotel on your own and stay overnight in Tokyo. Have your breakfast at your hotel. After breakfast, proceed for the Tokyo Full-Day Tour. At 07:30 - 08:30, gather at designated locations (hotels in Tokyo) and board the bus bound for Hamamatsucho Bus Terminal. At 09:00, depart from Hamamatsucho Bus Terminal by bus for a sightseeing tour around Tokyo. Visit Meiji Shrine, Imperial House, Senso-ji Temple & Nakamise Shopping, Ginza, and enjoy your lunch with a Western Style Set Meal. After lunch, head for the Tokyo Bay Cruise, Odaiba Sea Side Park, and revel in a traditional Japanese Dance. The tour ends at Tokyo Station Marunouchi South Exit/Hamamatsucho Bus Terminal. Have dinner on your own and stay overnight at a hotel in Tokyo. Enjoy your breakfast at your hotel. Check out and proceed to Mt. Fuji & Hakone Tour at 07:30 - 08:30. 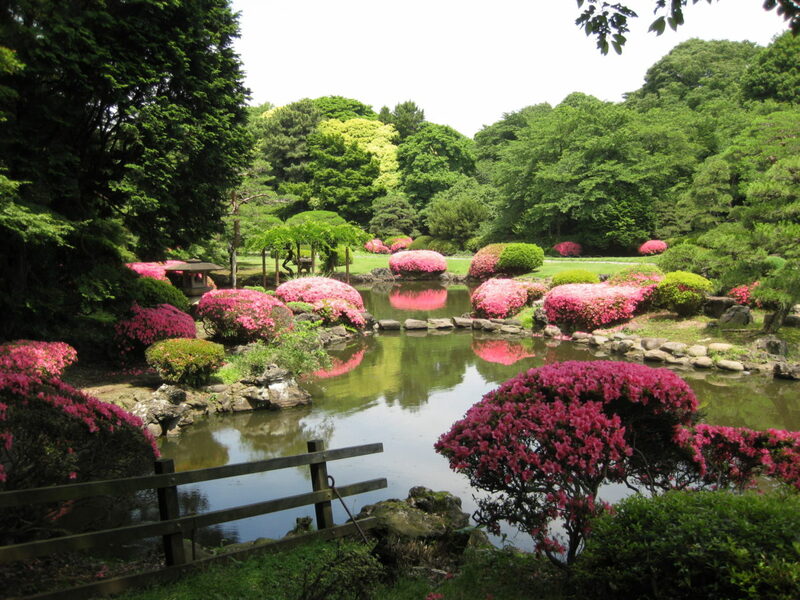 This tour can be joined at various meeting points mainly located at major hotels throughout Tokyo. Depart from Hamamatsucho and head to Mt. Fuji by bus (Mt. Fuji will take app. 2 hrs). Upon arrival to Mt. Fuji (subject to weather conditions), start with the Fuji Visitor Center, head to Mt. Fuji 5th Station, and have your lunch (Japanese Style). After lunch, enjoy the Lake Ashi Cruise and proceed to Mt. Komagatake Ropeway. Depart for Hakone.The tour will disband at Odawara Station. Head to your hotel on your own and check in. Have your dinner and stay overnight at a hotel in Hakone. Take your breakfast at your hotel. After breakfast, check out of the hotel then proceed to Hakone Tozan Railway. Visit Gora station-chokoku no Mori-Kowakidani-Miyanoshita-Ohiradai-Tonosawa-Hakone Yumoto Station via cable car. After coming back to Odawara station, board the bullet train and stay overnight at a hotel in Kyoto. Enjoy your breakfast at your hotel. 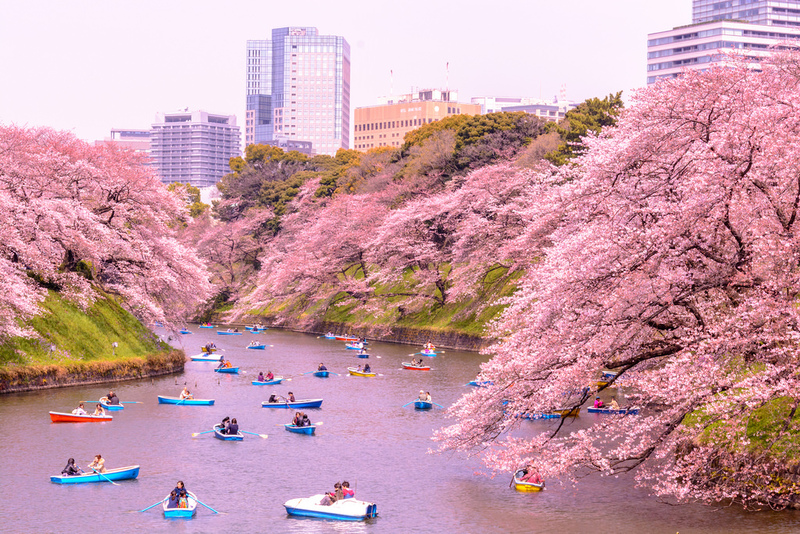 After breakfast, proceed for the Kyoto Cherry Blossom Tour, head to tour pick-up point on your own at 09:05 in Karasuma Kyoto hotel. Visit –Ninna-ji Temple, Tenryu-ji Temple, Arashiyama Bamboo Grove. Have your lunch and continue exploring Kitano Tenmangu Shrine & Hirano Shrine, Heian-jingu Shrine, and Okazaki Canal & Kawabata-dori street. The tour ends at Kyoto Okura Hotel or Karasuma Kyoto Hotel. Upon arrival, have your dinner and stay overnight at a hotel in Kyoto. Have your breakfast at your hotel. After breakfast, proceed for the Kyoto & Nara tour. Head to tour pick up point on your own at the Avanti Desk Kyoto Station Hachijo exit at 08:50. Visit the Nijo Castle, Kinkaku-ji Temple, Kyoto Imperial palace, Kitano Tenmangu Shrine. Take your lunch (Japanese style) and proceed from Kyoto to Nara by bus., Visit the well-known Nara Park & Todai-ji Temple, Kasuga Taisha Shrine, and Nara Nagomikan. The tour will disband at listed hotels in Kyoto. Have your dinner and stay at a hotel in Kyoto. Enjoy breakfast at the hotel. Check out at 10:00. Board SIC transfer to Kansai (KIX) Airport for International Flight and bring sweet memories home.